TheBlueGuerilla: Miliband's Lack of Vision. 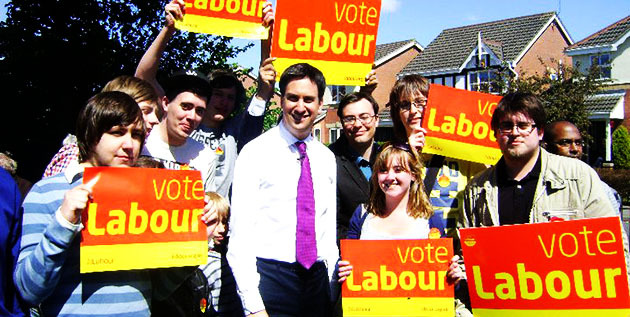 One of the last Labour government's leading figures has laid into Red Ed Miliband. Liam Byrne, who left the infamous 'there is no money left' message when he left The Treasury yesterday criticised the Labour leader for having a "lack of vision" and said that even if his party is to stand a chance at the next election they need to be twenty points ahead in opinion polls rather than the current three points. Byrne told the Fabian Society conference this past weekend - "I don't think we are talking about the future enough. The reason our poll lead is where it is is because people don't see us about the future anymore." One senior Labour figure was also caught out saying that Ed Miliband is "a huge failing". Ironically, the news comes on the day that the government is talking about the future, with George Osborne this week announcing plans to "bring forward" the start of construction for the northern section of the HS2 project to the same time as the southern section and eventually meet in the middle.